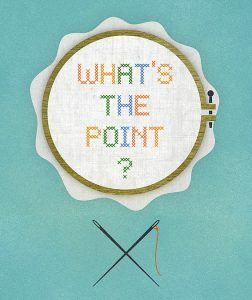 Philosophy Groups at Alsana The School of Life & ‘What’s The Point? For almost three years I’ve been leading a therapy group at Alsana called The School of Life, based on the work of Alain de Botton and his YouTube channel of the same name. It’s been a wonderful experience with tons of flexibility that’s allowed for activities and dialogues on a range of topics I’m really passionate about. Finding an engaging way to present philosophy that’s both relevant and accessible to people who may not want to be there is the main obstacle, but it’s one I’ve come to love. To keep it fresh, we link the content to what’s going on in our lives and the world around us. One day, for instance, we were discussing how to make decisions* by utilizing five different lenses— Gut, Enemy, Courage, Caution, and Death. We then applied what we learned through a current-events hypothetical: Should Selena Gomez get back with Justin Bieber? While everyone may not be able to attend these groups in person, the YouTube channel and Alain’s books are both excellent resources, accessible to everyone. There’s also a brand new philosophy/spirituality group at our Alabama facility called ‘What’s The Point?’ that I’m really excited to lead! These are dilemmas that have taken a tremendous toll on my own brain and contributed in a major way to why I, myself, developed an eating disorder in the first place. They’re also extremely universal matters that we all consider but rarely discuss. And now we can! This’ll be the place where we go to the deepest depths and find a way up from the bottom. It’s my hope that these conversations come across as clarifying and renewing, rather than panic-inducing and depressing, and we’ll have to see how it plays out. Whether or not it’s a hit, I’m excited to give it a shot! I’m also incredibly grateful to continue working here with smartest, kindest people I know. In my own experience with anorexia, I found very little in the way of understanding—even from professionals. That’s the real reason I work here: to provide that understanding to others. Every day I strive to be the person I never had in my own recovery. I’m lucky to have that opportunity, and even luckier to do it with a group who “gets it” and wakes up every day to pursue the same goal. If you’re someone reading this who longs for that kind of understanding or wants to change any damaging pattern with food, I’d encourage a visit to one of our facilities. Besides working first and foremost to figure out what’s going on inside the mind, our main mission will involve finding a way of life that’s more sustainable and enjoyable than the one that created the problem. Together we’ll work to find a way of being that isn’t destructively tethered to food and too miserable to continue. To sweeten the deal, any adult who admits to our Birmingham, Alabama address will get a front row seat to these (hopefully) solid groups, and anyone who seeks help at any of our locations will, of course, have access to equally thought-provoking content in all of our sessions. There’s a lot more to say, but if we can offer any kind of help, we hope to hear from you soon! If you or someone you know is struggling with an eating disorder, call us today at 888-822-8938 to learn more about all our eating disorder treatment options.